This week’s strike by Los Angeles teachers, the first since 1989, had us all transfixed. DSA chapters around the country are raising money for the strike fund established by the Alliance of Californians for Community Empowerment. Others were sending food, whether pizzas or the taco trucks mentioned in Connor Lewis’ essay today. 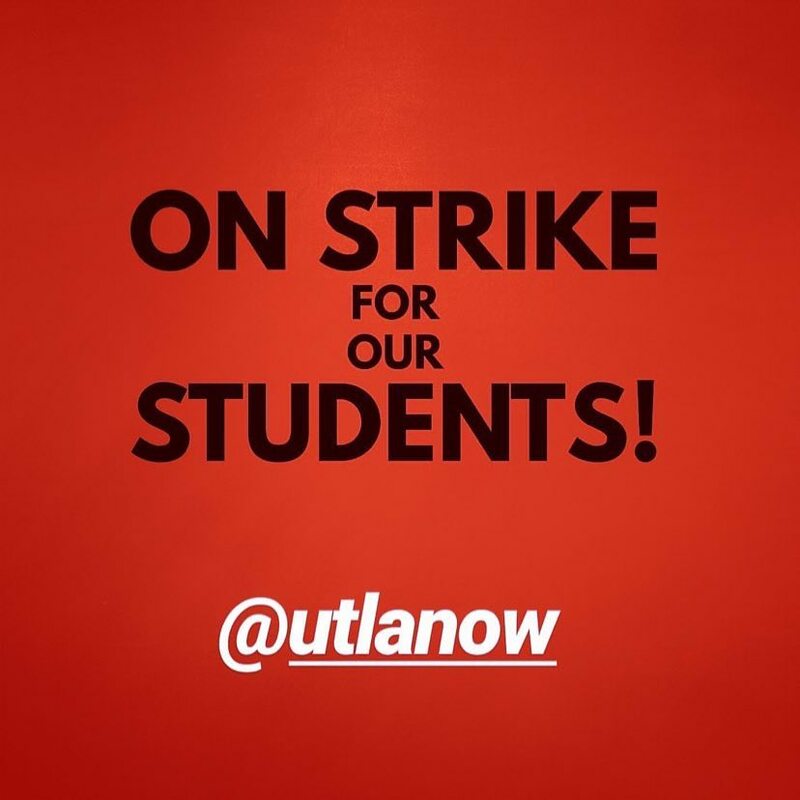 Labor Notes hosted a video conference call with striking Los Angeles teachers, featuring Labor Notes Education Coordinator and former Massachusetts Teachers Association President Barbara Madeloni, who writes about the strike here. We were thrilled to get, before Lewis sent his in, this quick dispatch from DSA co-founder Robin Doyno, from inside DSA Los Angeles – Ed. Monday, January 14th, the first day of the Los Angeles Teacher’s Strike found 250-plus zealous picketers by 8 a.m. in the driving rain. Songs, chants and high spirits prevailed. DSA-LA support was about 20 stalwarts. Both teachers and community members waved and cheered at the near constant horn sounds of the passing cars. Much the same was repeated at 2 in the afternoon.Reports were that Tuesday morning was much the same . Wednesday’s count was 150 plus, again in near constant rain. Members of National Nurses United were right in color with the predominant red of the campaign. The labor goddess smiled upon us Thursday with diminishing rain but significant winds. Friday morning we saw sunshine and the continued support of Young Democratic Socialists, with their spiked sun logo and welcome music. To hear ‘Solidarity Forever “ in numerous verses by two banjos is a welcome addition to a picket line. Friday’s 50 to 60 picketers in front of Venice High School were augmented by a group of 25 synchronised dancers-in-place, all responding to the same from across Venice Boulevard. We saw a “Super Teacher,” cape and all, as well as a plastic trombone and many creative call and response chants. The beginnings of the Westside DSA Working Class Marching Band started before the marching arrival of 30 students from neighboring Santa Monica High school, banners and doughnuts in hand. This sort of creative cheer and solidarity reflected the understanding that this strike was not only about the Los Angeles teachers but the fate of public education in the United States. A freelance photographer in Los Angeles, Robin Doyno is a member of the Marr Vista Council and a founder of the Urban Organizer Corps.